Trevor has worked with individuals who have autism, cognitive disabilities and physical disabilities for over 15 years in a variety of settings which include an elementary school, community and home settings, and camp settings. 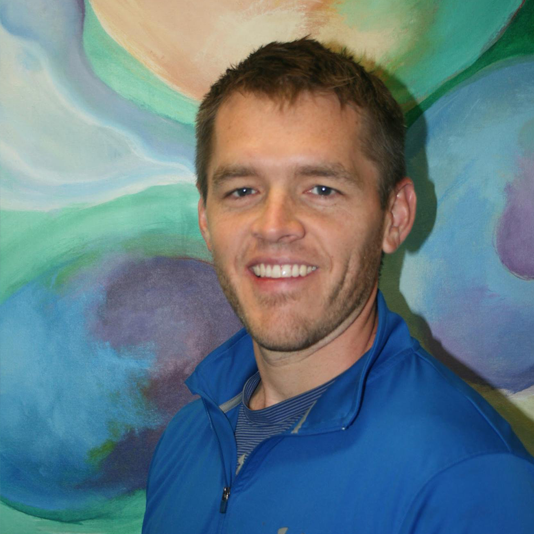 He has his masters in Therapeutic Recreation and he is passionate about adapting sports and fitness for all individuals. Trevor leads our adaptive sports recreation program as well as our Forever Strong Fitness Waiver Services Program. He enjoys helping those with impairments that make physical activity difficult achieve fitness, sports and wellness goals that they never thought was possible! He has been a leader in the development of our youth adaptive fitness programming as well. Trevor is married to Annie and has two sons, Logan and Cooper. They live in Rochester and have really enjoyed making it their home. Outside of work Trevor enjoys being physically active and likes to be involved in sports and fitness such as football, basketball, softball, hiking, running, and loves to go Up North to fish.